As a traditional Conservative egalitarian congregation, Temple Israel follows Jewish law set by the Rabbinical Assembly’s Committee on Jewish Law and Standards. Men and women participate equally in ritual life, leading services from the bimah and serving in leadership capacities on the Board of Directors, Executive Committee and throughout our extensive network of committees. Women count in minyanim for reciting Kaddish in the sanctuary, at shiva and on any other occasion when Temple Israel congregants gather for prayer. Welcoming interfaith and other non-traditional families is a hallmark of the open, inclusive vibe found here. 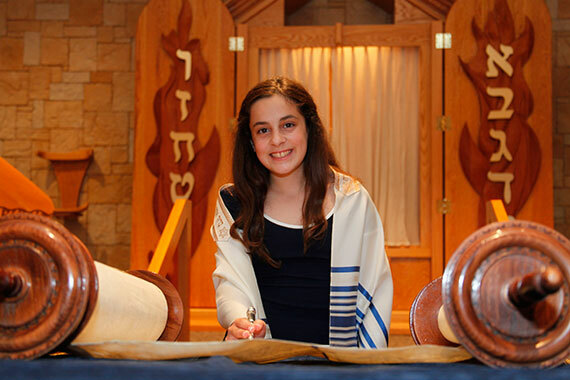 Non-Jewish family members have opportunities to participate in lifecycle events, such as the bar or bat mitzvah of a child, with special readings and blessings taken from Jewish tradition. Kippot (head coverings) and tallitot (prayer shawls) are required for men at Shabbat and holiday services and encouraged for women. Men and women may lay t’fillin (phylacteries) during Sunday morning minyan. The use of cell phones and other electronic devices on Shabbat and designated festivals are prohibited. Torah service: Temple Israel is on an annual Torah-reading cycle, meaning that each week we read an entire parasha, portion, from the Chumash, Five Books of Moses. The Shabbat Torah reading is punctuated by seven aliyot, the first of which is read by a Kohen (descendant of the priestly class), the second by a Levite (descendant of Aaron and his sons) and the remainder by members of the congregation or guests of Israelite status. 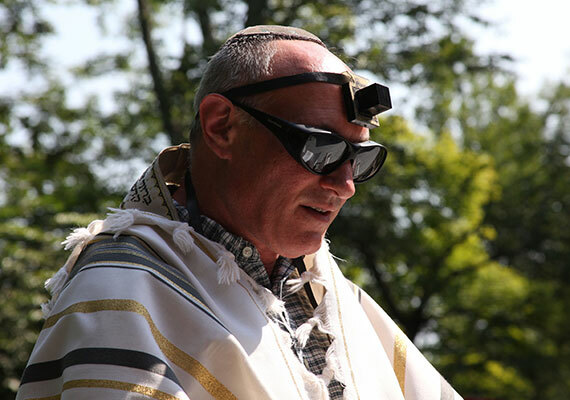 Two lay leaders generally maintain the order of the service, alerting the congregation to the place in the reading and calling people up for honors that include aliyot, lifting and wrapping of the sefer Torah and chanting Torah passages and Haftarah. We proudly participate in many nationwide ritual programs sponsored by the Conservative movement and other organizations, including: Sisterhood Shabbat; Men’s Club Shabbat; Federation of Jewish Men’s Clubs’ World Wide Wrap and Yellow Candle Program; and Shabbat Across America. Within the framework of the Conservative movement, the unique “personality” of our community shines through. For example, the congregation recently decided to incorporate varied non-acoustic musical formats into selected Friday night services.